It was a hot night so a man decided to take a walk along the beach. Soon after setting out, he felt a soft crunch under his foot. He stopped to inspect the soles of his shoes in the moonlight, and scraped off the remains of the unfortunate creature he had squashed. Unconcerned, he continued his stroll, unaware that the footprint had immortalized the end of that tiny life. After all, what’s so strange about stepping on a trilobite? Approximately 320 million years ago, a species of small lobed creatures began to populate Earth’s seas. These relatives of sea arachnids—similar to lobsters and crabs—once flourished but became completely extinct 280 million years ago. 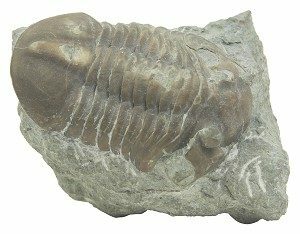 We are talking, of course, about the trilobite. In June of 1968, amateur fossil collector William J. Meister found a rock 2 inches thick in Antelope Spring, Utah. With a blow of his hammer, he exposed the fossil of a human footprint. But this footprint had a special feature—a squashed trilobite. It wasn’t long before the news spread across the world, and several investigators made their way to Antelope Spring, finding more marks made by modern-style footwear in a geological stratum corresponding to extremely remote ages. What strange joke is seemingly being played on history? In 1852 a giant rock mass in Dorchester, Massachusetts, was dynamited. After the explosion, workers found a curious metallic artifact among the debris, which was broken in two. 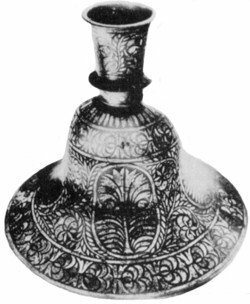 Upon joining the two pieces together, they revealed a vessel in the shape of a bell with a base of 6.5 inches and height of 4.5 inches. Later they discovered that the vessel was made from a silver alloy. Curiously, this artifact, seemingly constructed with a high level of technology, appears to have been trapped in the rock while it was forming several millions years ago—when humans did not even exist. Discoveries of this kind are not few. In fact, because of their ability to call in to question modern understandings of humankind’s origins, archeological sites have at times hidden various problematic objects. Eight years before the discovery of the Dorchester vase, a perfect iron nail was found in a 24-inch slab of rock in a quarry in Kingoodie, Scotland. The point of this nail was sticking out of the rock, while an inch of it, including the head, was sealed inside. It is estimated that such a rock would have formed roughly 60 million years ago. In the1880s, a Colorado rancher extracted pieces of carbon from a mineral vein 300 feet below the surface. Later at his house, as he was breaking up the extracted pieces, he found a strange-looking iron thimble. News of the discovery known as the “Thimble of Eve” spread quickly, but due to its state of corrosion and people’s over-handling, it disintegrated. The “Cube of Salzburg” is another challenge to history. It was revealed to the public when in 1885 an Austrian iron smelter broke apart pieces of carbon and uncovered a cube-shaped iron artifact. “The edges of this strange object were already perfectly straight and defined; four of the sides were planes, while the two remaining sides, situated in front of each other, were convex. Halfway up was a deep slot,” wrote René Noorbergen, a specialist in these types of cases. Chemical analysis later determined that the object did not contain any chrome, nickel, or cobalt, but instead was composed of a kind of forged iron. This composition seemed to rule out the hypothesis that the “cube” was a meteorite, as some had suggested. Another case, published in 1831 by the American Journal of Science, deals with a block of marble extracted from a depth of about 60 feet, which was later cut into pieces. The marble, believed to have formed millions of years ago, revealed precise cuts 2 inches by 0.5 inch—the shapes of the very similar modern letters “u” and “i.” The regularity of the symbols gave the impression of having been engraved by human hands. 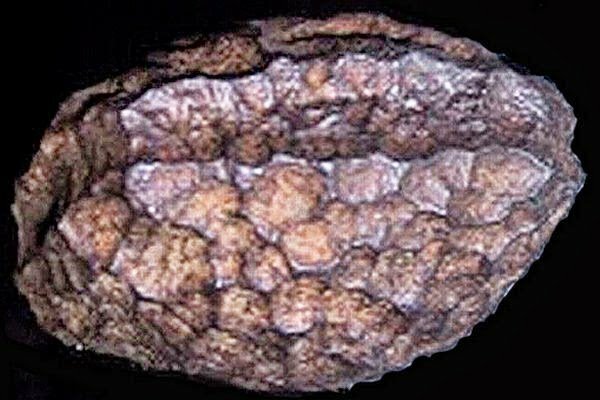 A similar case was brought to light in 2002 in China’s Guizhou Province, where a broken rock was found to have, at first glance, perfect Chinese characters of inexplicable origin, considering that the rock dated back to 200 million years ago! “If you see centimeter-scale organisms and then don’t see them for 400 million years, you have a lot to explain,” remarks Harvard University paleontologist Andrew Knoll. After new marks were found in similar rocks, many incredulous scientists were forced to analyze the age of the rocks again. But these specimens (zirconium crystals) continued to point to the impossible, making the issue “even more exciting and more improbable,” according to paleontologist Adolph Seilacher from Yale University. Seilacher believes that, according to what is commonly accepted, it is impossible for these fossilized traces to be from animals. However, he adds: “At the same time, I must accept the evidence. I have not found, nor heard from another person, another explanation. Is there any non-biological explanation for these marks?” The study appears in the October 2, 1998 issue of Science. In fact, there exist many fossils that challenge our modern understanding of history. An impression of a perfect human hand (with fingernail marks) was discovered in 110-million-year-old limestone in Glen Rose, Texas; a 100-million year-old petrified finger (fossil identified as DM93-083), which had its bone structure revealed through radiography, was found on Axel Heiberg Island in Canada; there is the well-known discovery of giant human footprints beside those of a dinosaur in Rìo Paluxy, Texas; and there are many more. The apparent soundness of our current theories is shaken each time an “impossible fossil” comes to light. Just how old is the human race? While figures vary slightly, modern anthropological and genetic studies confirm a similar length of time. Yet the existence of hundreds of apparently isolated artifacts do not fit into this standard narrative. Some of these findings even question the true origin of modern human technology, while offering valuable clues into the profound mystery of the origin of our species and our science. One example of these technological curiosities that stubbornly refuses to fit into the conventional timeline of history is an ancient electric battery found in Baghdad. The 2000 year-old artifact was sitting in a museum when an Australian archeologist discovered its true purpose. This ancient battery consisted of a yellow ceramic container with copper cylinder, twelve by four centimeters, found inside. The cylinder featured a soldered seam composed of a 60/40 mix (the same tin/lead ratio used to solder today) and a copper cover, and it was sealed with a material similar to asphalt. Another asphalt-like layer sealed the inner section, with an iron rod suspended in the center. The rod revealed evidence of corrosion from an acidic substance. A reconstruction of this battery demonstrated that it could produce comparable voltage to that of a modern battery. But what would such a device be used to power 2000 years ago? At that time, this area was part of the Parthian Empire. Evidence suggests that this technology did not originate in this area, but more likely in Egypt, where many finely-coated silver objects have been unearthed. If the use of electricity 2000 years ago time seems amazing, the use of gears before the Christian era is a subject that proves just as baffling. The extremely complex “Antikythera Mechanism” is an astronomical clock found at the beginning of 20th century, in a Greek ship that seems to have been shipwrecked around 80 A.D. A year into the process of identifying and cataloging the diverse objects found on the ship the ship, one of the investigators noticed a strange device of amazing complexity which seemed incorporate a series of gears. Later analysis revealed that the device contained the names of several celestial bodies and zodiac signs. X-rays determined that this apparatus contained a modest sum of 32 gears, perfectly fitted and still functional. The news shocked the scientific community, which concluded that that mechanism was a sophisticated astronomical calendar that was nearly as accurate as modern models. 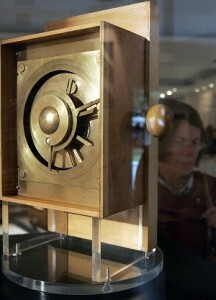 Yet, the Antikythera Mechanism troubled scientists because it conflicted with historical notions of the technological development of that era. Some even tried to explain it away, arguing that a contemporary navigator must have thrown it overboard, where it coincidentally landed right next to the sunken vessel. Later, the famous marine investigator Jacques Cousteau found more remains of bronze gears in the same area. Where did the Greeks obtain this advanced knowledge to create such a device? A temple in New Delhi, India, holds another of these ancient curiosities: a pillar made of an iron alloy that has withstood 1,600 years outdoors without sign of oxidation. An ultrasound analysis determined that the pillar is constructed of many welded iron discs. How can a 1600-year-old feat of metallurgical capacity be explained? In Europe the technical ability to construct something of a similar size not available until the end of the 19th century. In the same vein, scientists remain unable to adequately explain several 40,000 year old human and animal skulls featuring holes that many agree were made with projectiles. Ballistics experts are astonished when confronted with the specimens. Did the cavemen carry firearms? To propose that the text describes a nuclear blast might be hard for many to take seriously. Yet when we realize that at the Hindu city of Rajasthan, an area of about five square miles is covered by a giant layer of radioactive ash. The intensity of the radiation still causes the area to be uninhabitable. It isn’t merely the Mahabharata that details this prehistory; several other Hindu texts narrate the existence of weapons that swept whole armies away like leaves. There also exist hundreds of ancient artifacts and images that, if carefully examined, provoke us to reconsider the supposed newness of modern technology. Five years before the Wright brothers made their first flight, a 2200 year-old wooden plane was uncovered in Egypt. Since airplanes were not a not device that anyone at the time were even remotely familiar, archaeologists believed the artifact was some kind of stylized bird sculpture. Similar metallic objects were found in different areas of pre-Colombian America. Even more astonishing, cave paintings found in remote parts of the world portray what looks to be a prolific era for spacecraft. True science is obliged to doubt, reconsider and constantly redefine its own foundations as new discoveries are made, and this process may sometimes sweep aside years of research and investigation. We’ve come to know a version of history which speaks of a linearly increasing technological evolution, but findings like those listed above tell a much different story, inspiring a serious reflection on our present hypotheses. When faced with a significant amount of evidence that calls into question contemporary notions of our history and the technological sophistication of our ancestors, it is both unconscionable and unscientific to brush such artifacts aside in order to preserve an unsubstantiated belief. A considerable historical controversy arose in the 1960’s when stones were found in a cave in Ica, Peru. 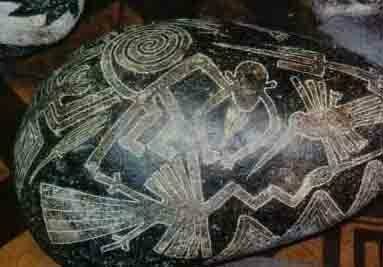 The majority of archaeologists and paleontologists have seemingly quelled the debate by asserting that the markings on the Ica stones constitute a genuine fraud. But as with all controversial subjects, what hasn’t been definitively proven still leaves room for possibility and scientific rigor. For in the realm of science, nothing can ever be affirmed or discarded without conclusive evidence. While there are reasons to believe that the famous stones are not of Pre-Colombian origin, there exist several stories as much in favor of their authenticity as there are against it. A good number of scientists, who have had the opportunity to study the Ica stones, observe that they are engraved with an incredible variety of scenes that speak of either an alternative history, or a fertile imagination. For example, the stones depict men and dinosaurs in the same era. The story of the mysterious stones is found to be unavoidably linked to one man, Dr. Javier Cabrera. The principal collector of these artifacts, Dr. Cabrera put together a kind of museum to display these Peruvian curiosities—the Museo de Piedras Grabadas (Engraved Stones Museum) located in the village of Ica, located just north of the famous Nazca Lines. Upon stumbling across one rock, Cabrera thought he recognized the image of an extinct fish. From this moment on he began to follow the trail of the stones, discovering that locals were digging them up by the dozens at different sites around the area. Cabrera bought up a great number of the unearthed rocks, and over the course of several years, came to obtain more than 40,000 pieces. Although some studies have found that the engravings seem to possess any layer of corrosion—as would be expected of a carving so old—others studies indicate that thousand year old bacteria exist within the grooves. It’s also possible that a few of the original rocks have been thrown together with thousands of modern ones, which only add to the confusion and controversy. Possessing many diverse representations, Dr. Cabrera classified the Ica stones as large thematic blocks. Stand outs include a series on astronomy, describing in great detail the 13 constellations of the zodiac; a series on medicine, illustrating advanced surgeries, organ transplants (including brain transplants), methods of acupuncture, and a depiction of a caesarian birth; a series depicting a massive cataclysm, suggesting that the advanced technology of a bygone race brought about their demise; the astronaut series, which illustrates humanities prehistoric journeys with spaceships; and the series of prehistoric animals that strongly suggest humans once shared the world with dinosaurs. Other series included among the stone stories are those of ancient continents (which include maps of exactly how the earth looked in the Tertiary Period), a race of ancient humans, and the flora and fauna unknown to our modern world. There are even other stones that anthropologists still remain unable to properly identify. Were there other civilizations perhaps even more advanced than our own that existed in a distant past? 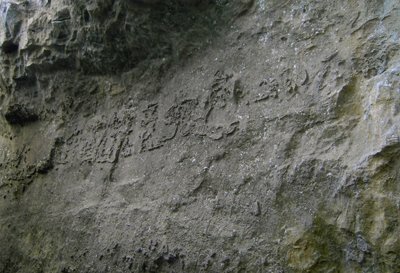 If these engravings really belong to the Tertiary Period (it is widely believed that man came to be more recently, in the Quaternary Period) what does it say of human origins? Consider the many examples explored in this series of articles while pursuing the answers to these questions. 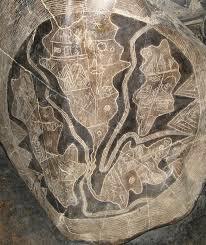 It is of course not merely the Ica Stones that point to a technologically advanced prehistory.